・Healey, Jason. (2013). A Fierce Domain: Conflict n Cyberspace, 1986 to 2012. A CCSA Publication, in Partnership with the Atlantic Council. Schmitt, Michael N. (2013). Tallinn Manual on The International Law Applicable to Cyber Warfare. New York: Cambridge University Press. ・伊東寛. (2016). 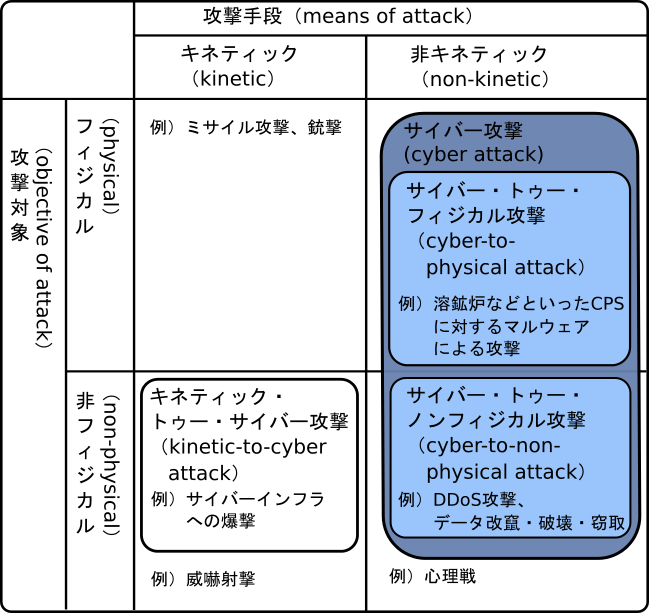 サイバー戦争論 ナショナルセキュリティの現在. 東京都: 原書房. ・中谷和弘. (2013年5月). 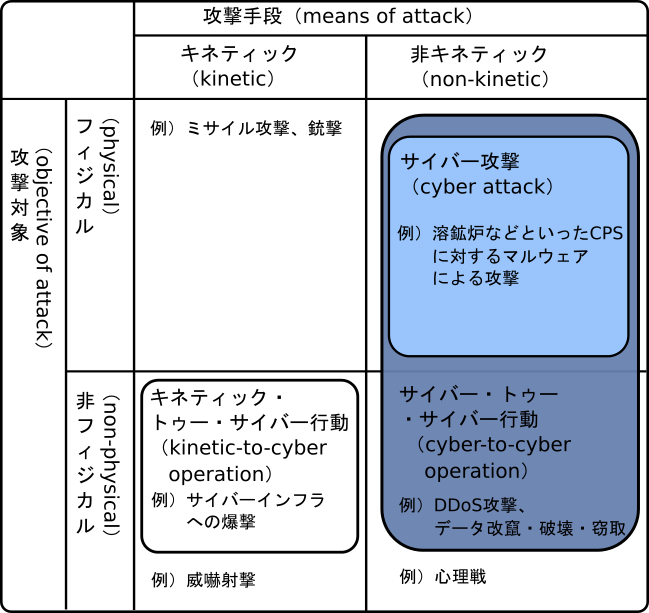 サイバー攻撃と国際法の対応. ジュリスト(1454), 58-63. ・土屋大洋. (2012). サイバー・テロ 日米vs.中国. 文春新書. ・土屋大洋. (2014). 仮想戦争の終わり サイバー戦争とセキュリティ. 角川学芸出版.